What if you could use existing YouTube videos and convert them into fully automatic video income streams? What if you could do it without recording a single video – without posting a single video – and even without a YouTube channel! 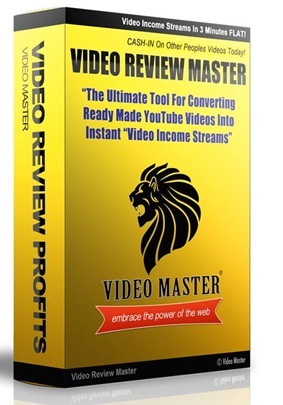 Video Review Master is a software program that you run on your website and allows you to choose any sharable YouTube video and convert that video into an instant mini income stream with your affiliate link. Don’t be fooled into thinking this is just another WordPress Plugin. This is NOT a plugin. It is software that you run on your site and you control it, which makes it more efficient and is able to run faster and be more robust. 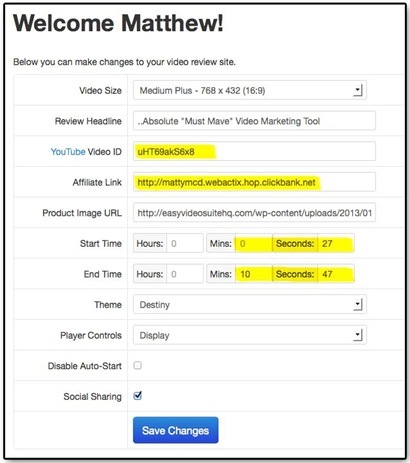 Once you’ve setup your Video Review Master, you can submit it to your Facebook page, link your blog or website to it, even get it ranking on Google for any keyword you choose. You also get 3 Mega Bonus Themes if you act quickly! 1. The YouTube Theme Pack – it allows you to integrate the look and feel of YouTube onto your site. 2. The Facebook Theme Pack – make your video reviews look like they are on Facebook! 3. Video Review Master New York Premium Theme – transport your visitors to the beautiful skyline of New York. To setup Video Review Master on your site, all you need is a domain name and hosting account. You do not need a separate domain name just for the VRM Software, you can easily add it onto your existing site. Stop struggling with creating video after video when you can have any sharable YouTube video at your fingertips, ready to make you money with your affiliate links! Grab Video Review Master today!